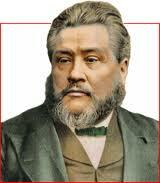 If you like Charles Spurgeon, this documentary video is a good overview of his life in just over an hour. It covers his conversion, growth as a preacher to his pastorate at the Metropolitan Tabernacle in London and the Downgrade Controversy among other topics. This entry was posted in Video and tagged Spurgeon biography video, Spurgeon documentary, video about the life of Charles Spurgeon. Bookmark the permalink.